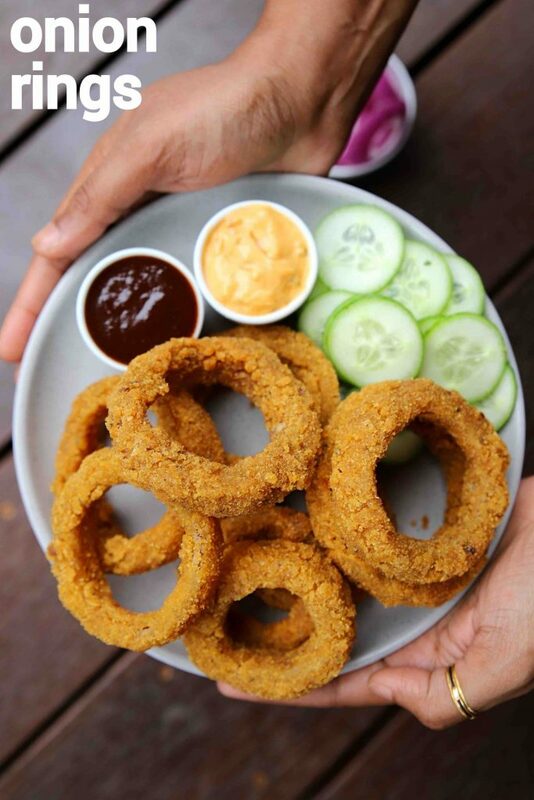 onion rings recipe | crispy onion rings | onion fried rings with detailed photo and video recipe. 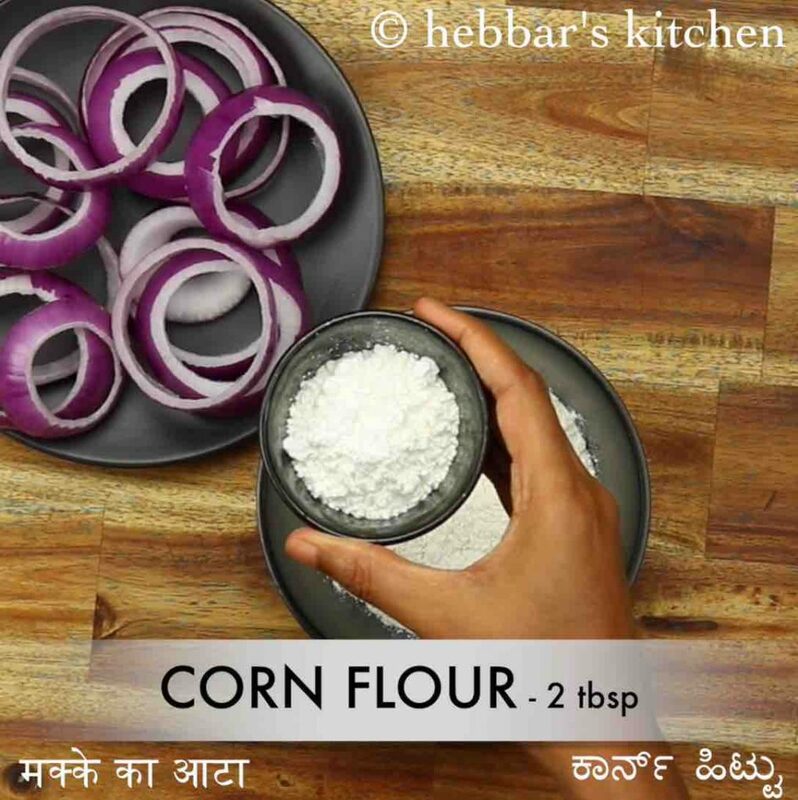 crispy deep fried snack recipe made with onion rings, plain flour & corn flour batter. 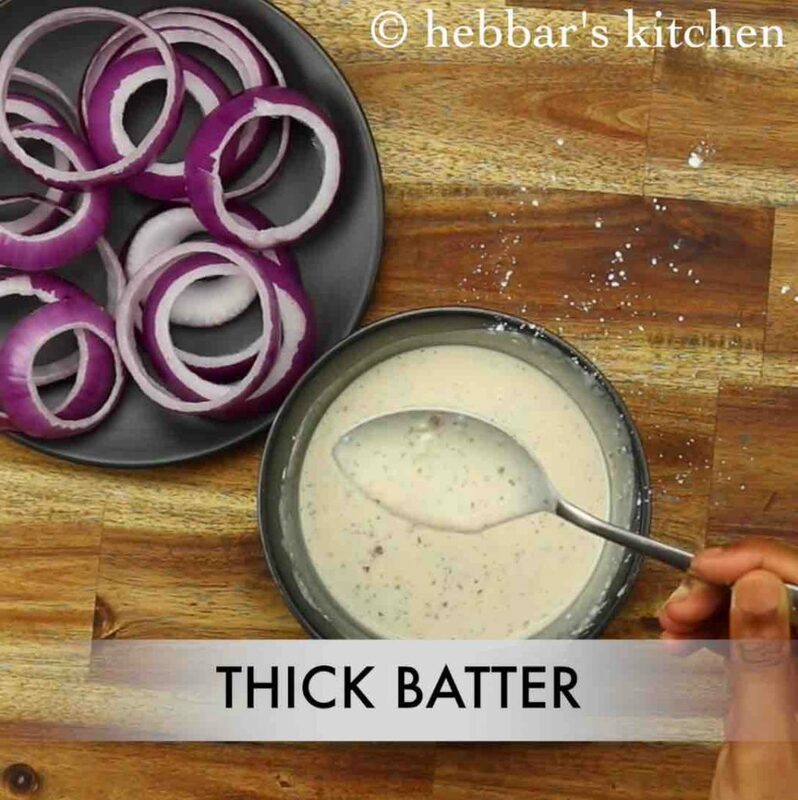 it is particularly popular with the kids as it can be shared as a snack or perhaps a side dish to a meal. 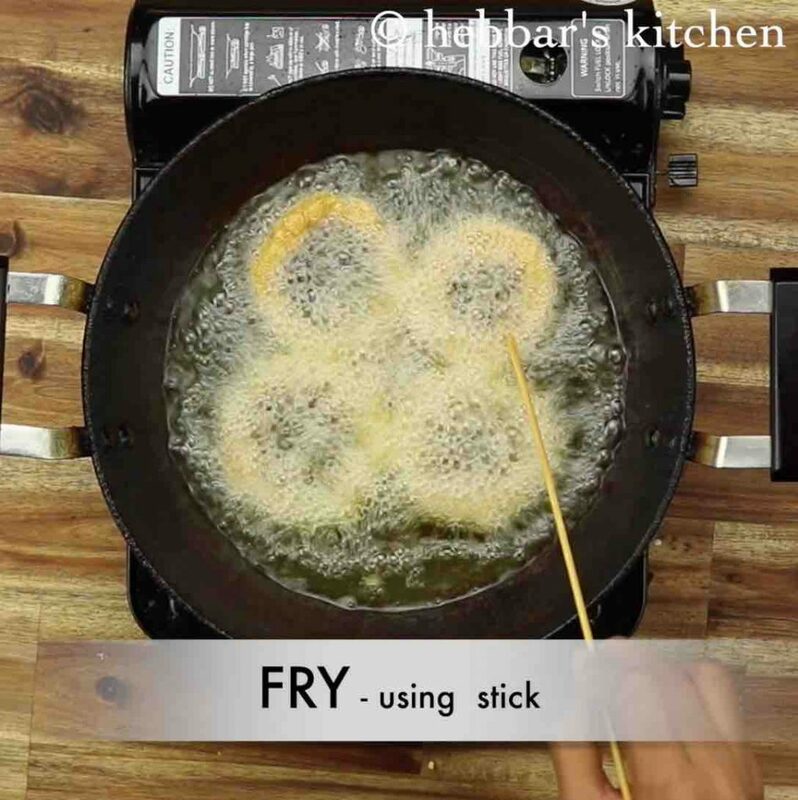 there are myriad ways of making this fried rings where it can be stuffed with desired stuffing, but this is a simple ring without any stuffing. 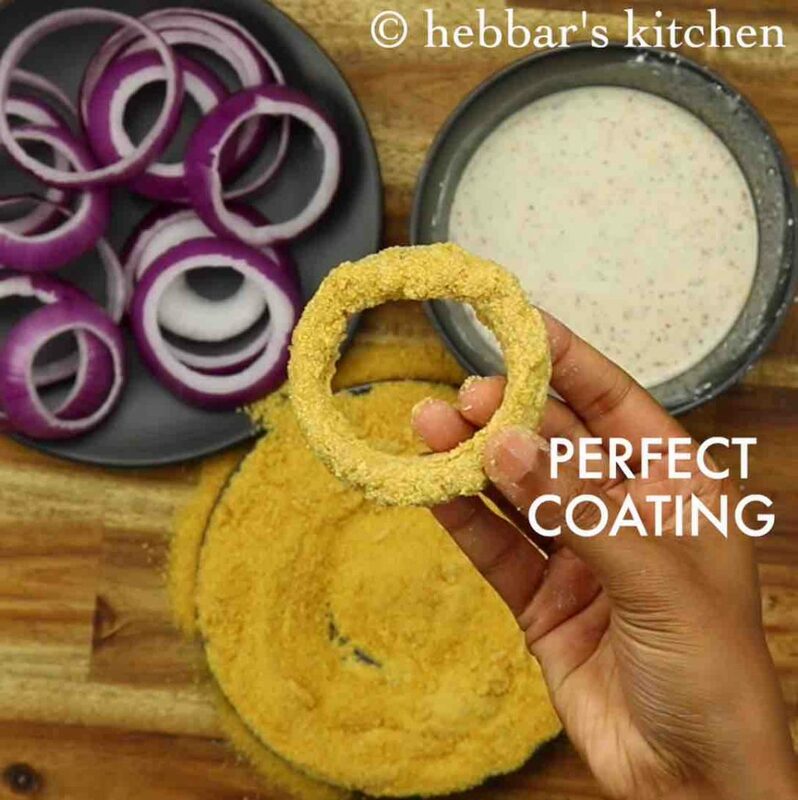 onion rings recipe | crispy onion rings | onion fried rings with step by step photo and video recipe. 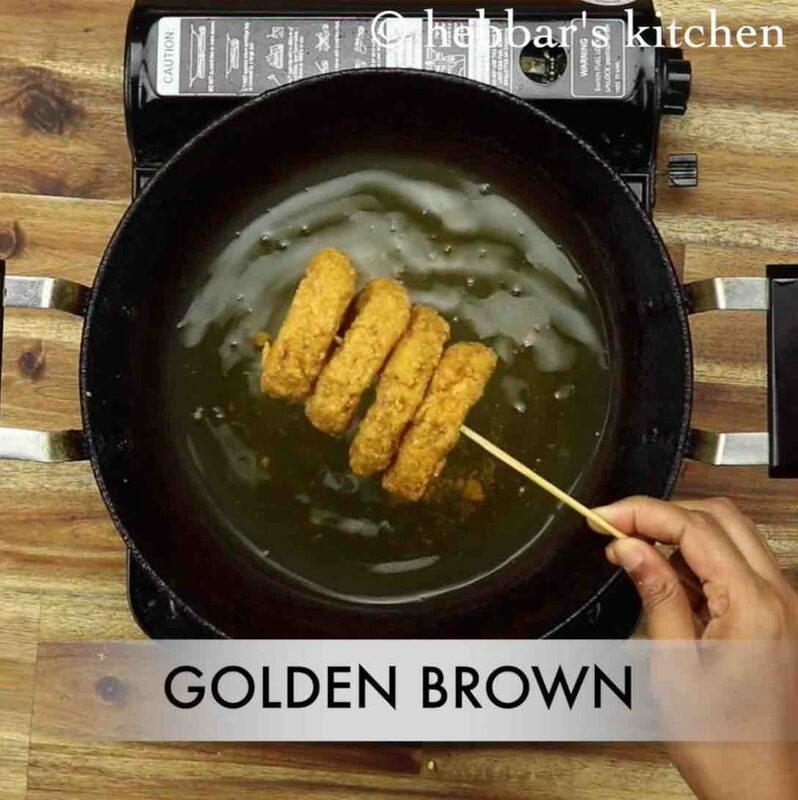 indian cuisine deals with many deep fried snacks recipe with besan as its main coating. basically, the spice mixed chickpea flour is made as thin/thick batter and choice of vegetables are dipped and deep fried to make a snack. but this onion rings are unique and made with corn flour and plain flour for a crisp result. i have shared another version of onion rings recipe previously with cheese stuffed and panko breadcrumbs. basically, i used 2 onion rings and stuffed cheese in between 2 rings. while the cheese stuffed onion rings can make a tasty onion fried rings but can be overwhelming to cook, especially for a novice cook. hence i thought of sharing a simple onion rings without any fuss of stuffing and organising onion circles. moreover, in this recipe, i have used crushed corn flakes crumbs which makes it crispy, but having panko breadcrumbs makes it golden crisp rings. i was basically running low with the panko and hence used the corn flakes crumbs, otherwise the former would be my first choice. 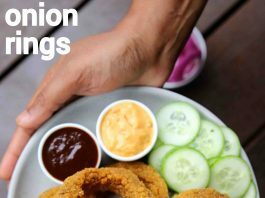 furthermore, i would like to add some tips, suggestions and variations to the onion rings recipe. firstly, i would heavily recommend to use large red onions compared to others. you may use white or pink onions but they are not as juicy as red and hence use it if you do not have access to the former one. secondly, i have double coated the onion circles with plain flour paste and breadcrumbs as an extra protection. double coat would help to hold the coating and does not expose the rings. lastly, deep fry these rings in medium heat oil. 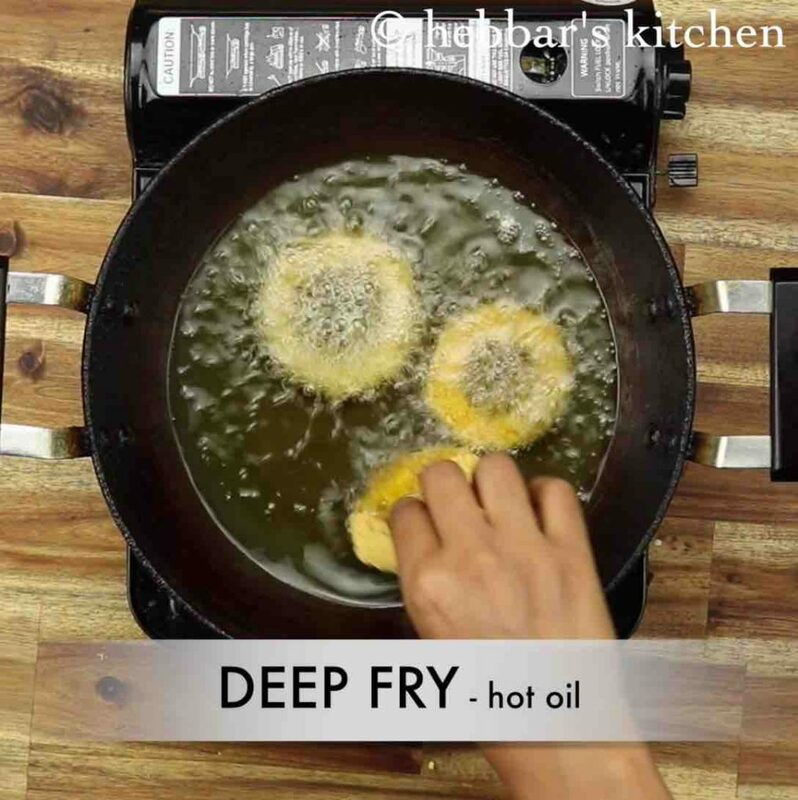 in addition do not overcrowd the frying pan and deep fry them in small batches. 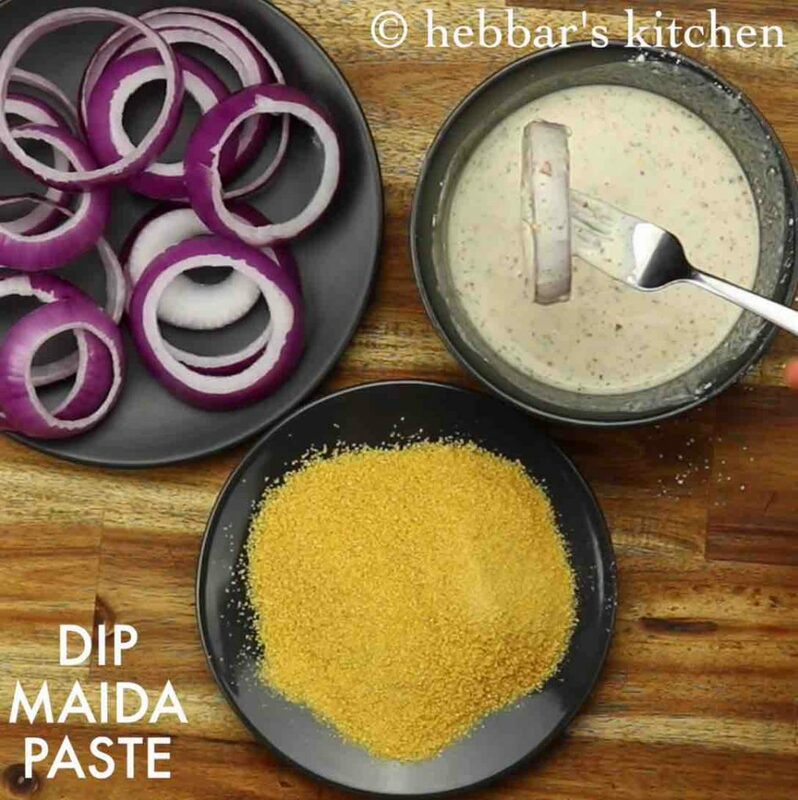 in a small bowl take ½ cup maida, 2 tbsp corn flour, ½ tsp mixed herbs, ½ tsp chilli flakes and ½ tsp salt. prepare a smooth lump free batter adding more water if required. 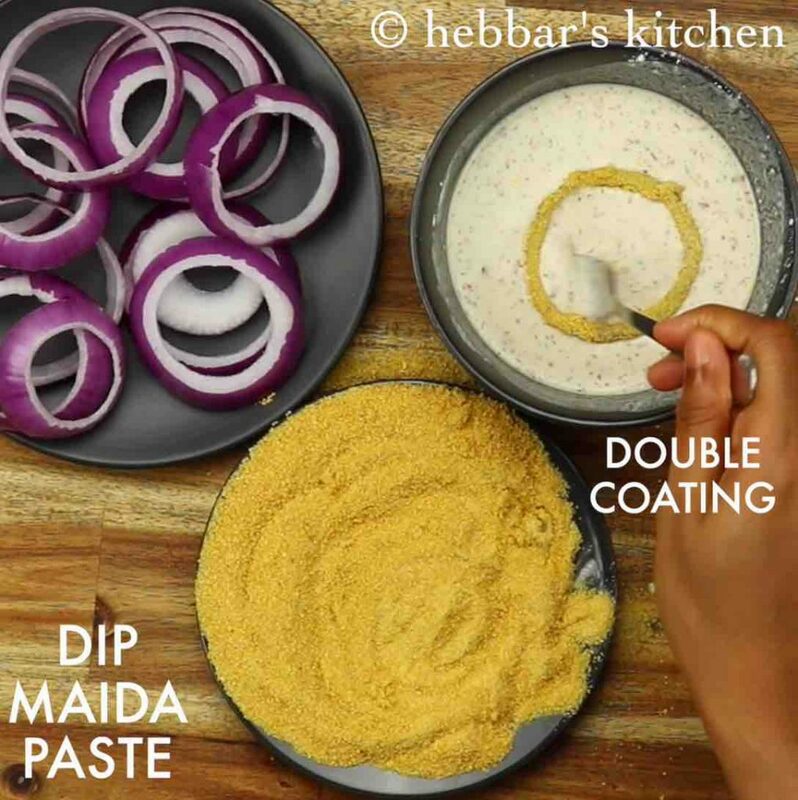 now dip an onion ring into maida paste and coat well. 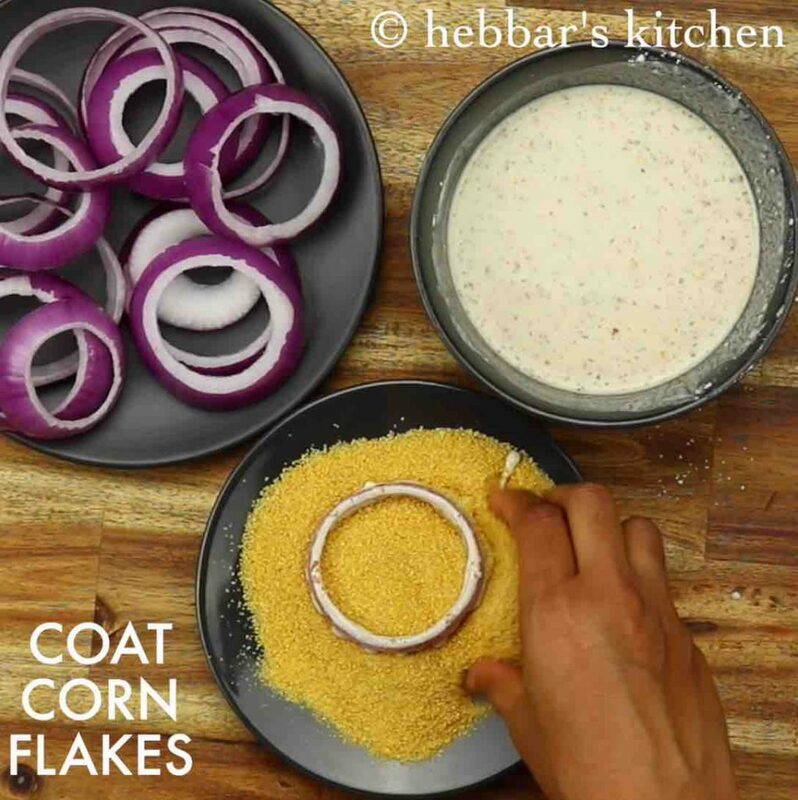 slowly drop the coated onion ring into corn flakes crumb and coat well. now for double coating, drop the onion ring again to maida batter and wet completely. further, roll in corn flakes crumbs and coat well. fry until the onion rings turn golden brown and crisp. 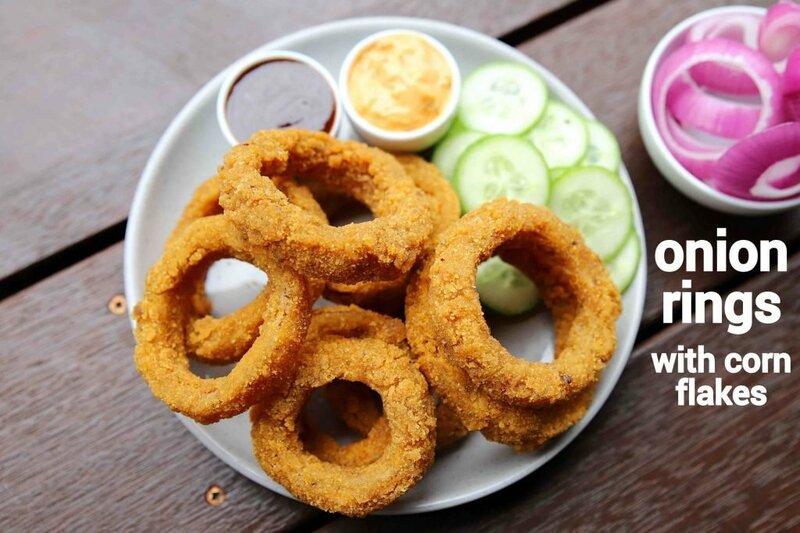 finally, enjoy onion rings with sauce as an evening snack. firstly, slice the onions slightly thick and separate the rings. slowly drop the coated onion ring into corn flakes crumb and coat well. i have crushed cornflakes to prepare crumbs, you can alternatively use breadcrumbs. further, roll in corn flakes crumbs and coat well. you can freeze at this stage in a zip lock bag and fry when required. deep fry in hot oil keeping the flame on medium. flip over using a stick to prevent from damaging. 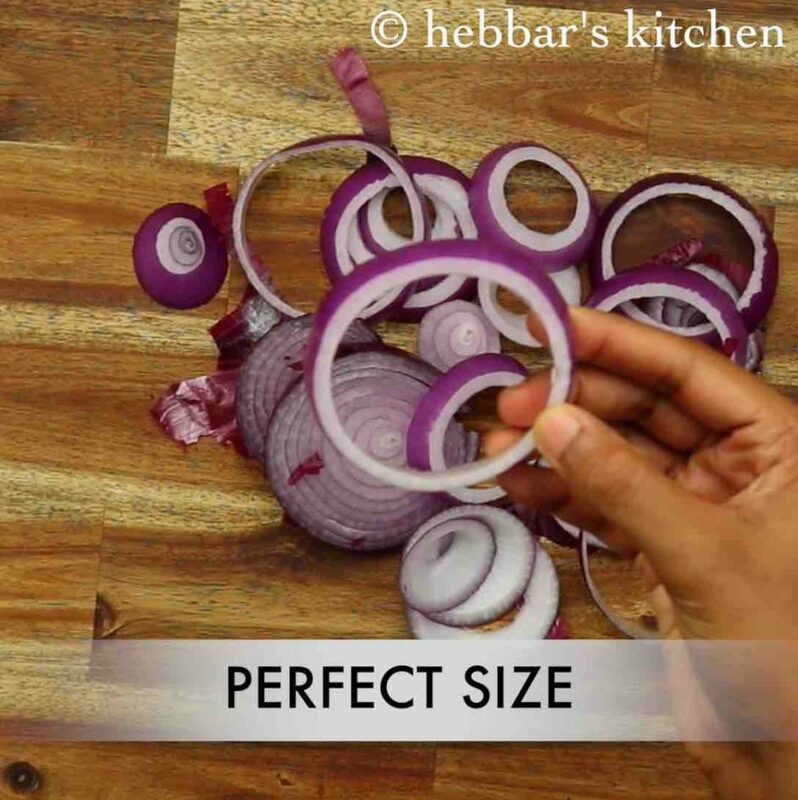 firstly, use large onions to get large rings. also, if you do not have corn flakes, you can use panko bread crumbs. additionally, the double coating helps to make onion rings crisper and tasty. finally, onion rings recipe tastes great when served hot and crispy.